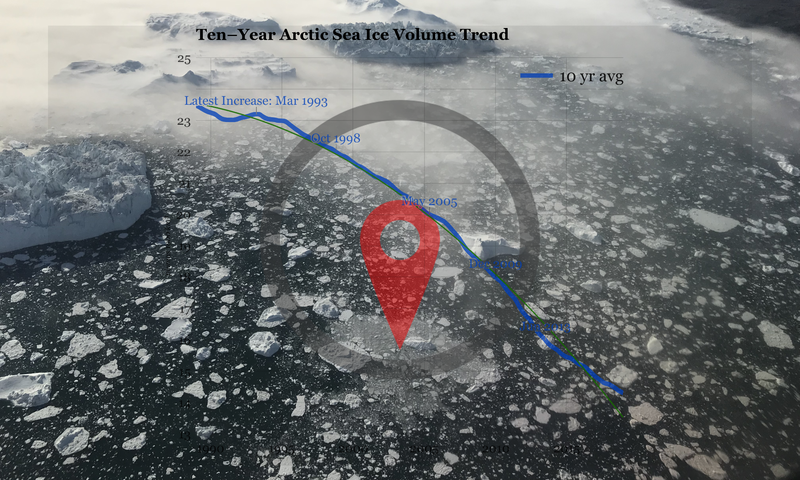 The average for the year for Arctic sea ice volume is now 7th lowest on record per March 27th. These are however still early days, and a 86–day average, while much more reliable than just a daily figure, is a lot less indicative of where the year is going than, say, a 150–day or 200–day average. This could still go either way! Q: Where’s the data source for this plot? Q: How can anyone make a year-to-date average graph? A: Easy. Use a computer. Add all the ice for every day so far this year, divide by the number of days. Q: Why would I even do that? A: Let’s say you want to know how much ice we have in 2019 compared to other years. Dahr Jamail interview on his latest book “The End of Ice”,on Nature Bats Last.